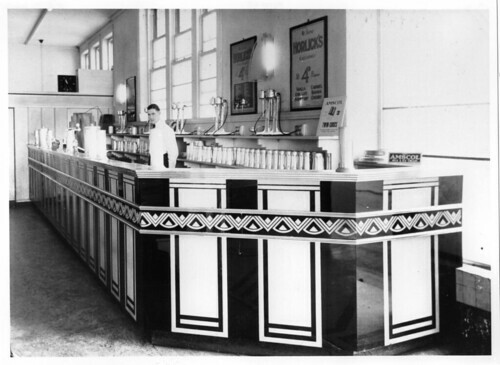 Interior view of the Devon Milk Bar, 50A King William Street. Features a sign advertising Amscol Twin Chocs. Visit the State Library of South Australia to view more photos of South Australia.